In an effort to protect its copyrights, Nintendo has managed to shut down yet another fan-made game that took years to develop. After generating over a million downloads in just a few days, the makers of the popular RPG Pokémon Uranium decided to cave in to legal pressure from the game giant. 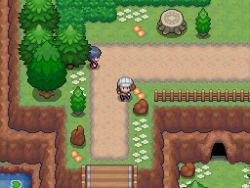 After nearly ten years of development, the fan-made RPG Pokémon Uranium was finally released last week. In no time the game was downloaded over a million times, in part leveraging on the success of this summer’s Pokémon hype. Unfortunately for the makers it wasn’t just fans that jumped on the release, Nintendo’s lawyers quickly sprang into action too. Claiming copyright infringement, they asked the game’s hosting provider(s) to stop distributing the game. While the developers themselves were not contacted directly, they decided to pull the release offline to avoid legal problems. “After receiving more than 1,500,000 downloads of our game, we have been notified of multiple takedown notices from lawyers representing Nintendo of America,” Pokémon Uranium’s makers write in a statement. Within a matter of days, nearly a decade of hard work now appears to have been ‘for nothing.’ Those who look hard enough can still find unofficial download links scattered online, but it’s only a matter of time before Nintendo begins clearing these up as well. While the game’s makers and players are disappointed, Nintendo’s actions don’t come as a surprise. The company is known to go after fan projects that use Nintendo trademarks or copyrights, including Game Boy emulators and Mario inspired browser games. Just last week, Nintendo’s lawyers pressured the makers of a fan-made Metroid 2 remake to pull their game offline. As with Pokémon Uranium, several years of hard work will now stay hidden from the public if the game maker has its way. Nintendo is of course allowed to protect their rights, and they do have a good case to prohibit these fan-made games from being distributed. However, considering the enthusiastic response from the public, Nintendo could also learn something from these fan projects. Why shut down a great project and waste hundreds of hours of work if you can use it to your advantage? This sentiment is widely shared online. “It’s their business, I can understand it, but what I want more than anything is that they learn from their ‘competition’ instead of just destroying it,” sw9876 writes on Reddit. In part, Nintendo may already be doing this. In 2013 Nintendo pulled down the popular fan-made game “Full Screen Mario” and a few months later the company announced its new “Mario Maker” which included many similar features. According to developer Josh Goldberg, his game may have inspired the Nintendo release, without him being credited. “I think it’s too much of a coincidence that in the fall they take down a fan site that was too popular for them, then in the spring and summer they release a trailer for this product,” he previously told The Washington Post in an interview. In any case, it’s safe to say that developers who plan to release a game inspired by a Nintendo release should refrain from using any trademarked or copyrighted material. Or else it’s doomed to be shut down sooner or later.